... and I'm not sure how I feel about it. Whilst perhaps not as visually stunning as dedicated-next-gen titles such as Killzone Shadowfall or Ryse, it's certainly a striking game - but hidden amongst the sparkly lighting effects and the floaty foliage in Crystal Dynamic's updated engine is a change that is making me feel a bit uncomfortable. There's a few subtle differences between the old (left) and new (right) - thicker, shaped eyebrows. A fuller face, blurring her previously defined jawline with some baby fat. Larger, fuller lips. A flatter chin. A tweaked nose. Eyes that are now bigger, and with darker colouring. On their own they're minor changes, but they come together to form a significant change to Lara Croft - and a change that feels like it's subtly reneging on some of the aims of the original game. The first Lara Croft looks like an attractive, but ordinary young university graduate. The new one looks, well... a bit sexier. A bit less fresh-faced student, a bit more action heroine. A bit more like the Lara of old, the pin-up girl of 90's video games. And in a way, I feel like that betrays some of what Crystal Dynamics did when they rebooted Tomb Raider. 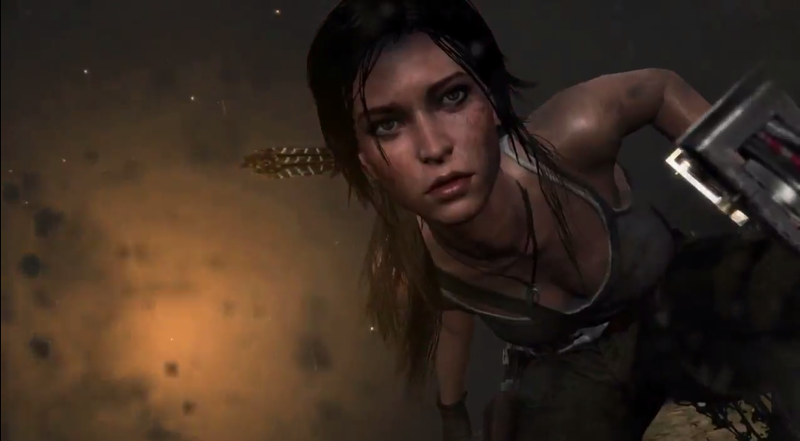 The new Lara Croft isn't just prettier, she's noticeably, well... cleaner. Gone is much of the dirt and muck that she collects over the course of her hellish island adventure, and gone are the scrapes - the cuts on her arm and her chest that she earned from her survival in the original version are noticeably absent in the new one. Our new Lara isn't just a pretty face, but also someone who seemingly emerges from her ordeal in a bit better shape than she originally did. And in a way, without those cuts and bruises, she's a little less interesting. Less the young girl who ends the game battered but not broken, and more of a typical hero - escaping her trials with nothing more than a few flecks of mud here and there. There's something that feels disappointing about that.